dealing with the patient’s emotional response. During a genetic counseling session, it’s very important not only to convey the medical information accurately, but also to address the patient’s emotional well-being. People seek genetic counseling for many reasons. Initially, in the 1970’s and 1980’s, the focus was on obstetrical concerns, and many genetic counselors worked in high-risk obstetrics practices. As knowledge about genetic conditions expanded, genetic counselors began to see more patients with pediatric and adult genetic issues. Today, some common reasons to consult with a genetic counselor include a history of multiple pregnancy losses, having a child with a genetic condition, having a family history of cancer or sudden cardiac death, needing a review of direct-to-consumer test results—and the list goes on. 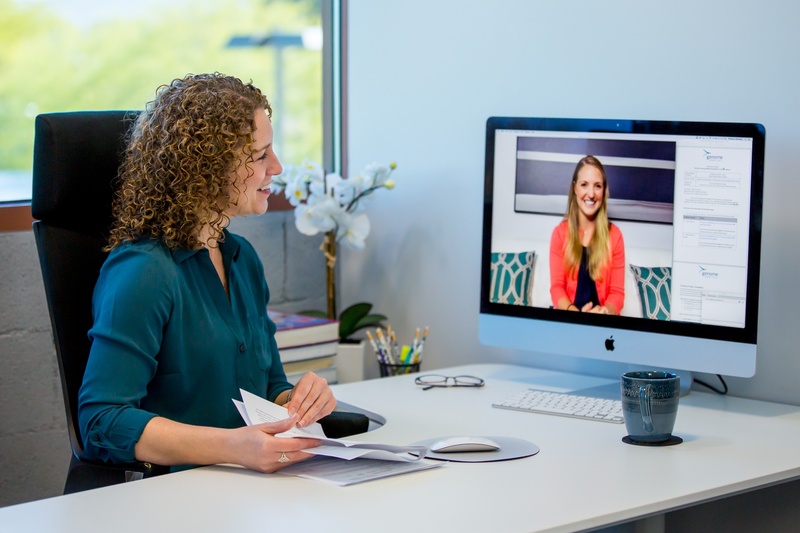 With the expansion of genetic technology and direct-to-consumer testing, genetic counseling is now being offered in laboratory settings and remotely, via phone or video. Consulting with a genetic counselor about a condition in one’s family history, or before having a genetic test, can be very helpful. A genetic counseling session can help patients understand whether they have an increased risk of developing a condition that runs in their family, and/or which genetic test may be beneficial for them. “Contracting”: The genetic counselor asks what you hope to accomplish during the consultation, and tells you what topics he or she wants to address. Intake of family history: The genetic counselor will ask you about various members of your family and use this information to draw a family tree (pedigree) that goes back at least three generations. Explanation of genetic condition: The genetic counselor will educate you about the condition in your family and, if it is genetic, how it is inherited. Discussion of testing: For many genetic conditions, testing is now available. The genetic counselor will help you navigate testing by explaining the types of testing to be considered, and the differences between screening and targeted diagnostic testing. Sometimes testing the affected family member is the preferred approach, while at other times carrier screening on unaffected family members may be recommended. Questions: The genetic counselor will want to be certain you understand what was discussed and if you have any further concerns. You should be provided with the counselor’s contact information in case questions arise after your appointment. One thing that has not changed in genetic counseling is the focus on the patient. Genetic counseling will always include the provision of factual genetic information and an assessment of how the patient is doing emotionally. A lot has progressed in genetic counseling since 1969, but this process—marrying the science of genetics with attention to the patient’s emotions—remains at the core of our services to people with genetic health concerns.